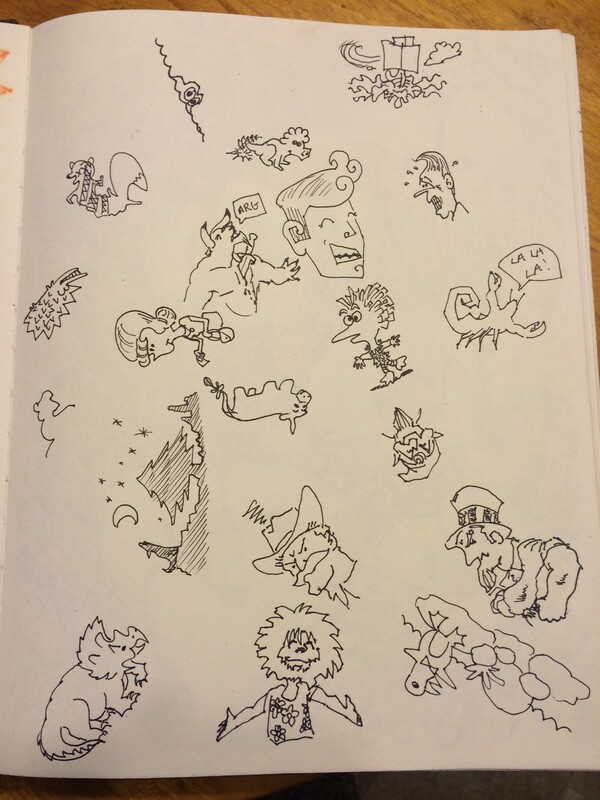 This is just a quick look at some past cartooney sketches. One of these cats is not like the others. 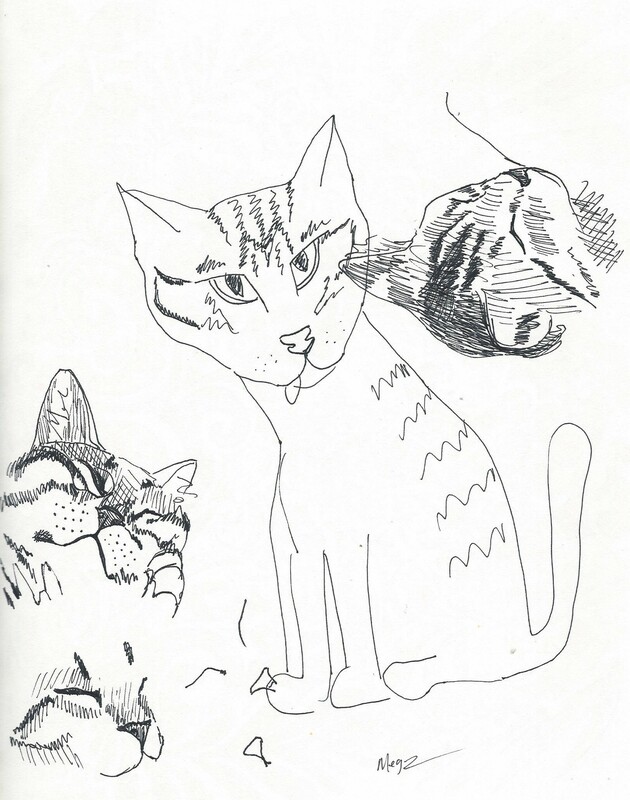 I drew these little sketches when Percy was just a tiny kitten. He loves to sleep on me, which is ideal for drawing sleepy faces. This is MrE’s and my second game of Squiggles. I did most of the animals and Mike did most of the people. Still, I lean toward morbid topics. I did the roadkill squirrel in the upper left corner.